Thank you Dee! How sweet of you to recognize me! My kids and my husband are my main inspiration. I cannot scrap chronologically. This surpresses my creativity. I love meeting other crafters on the internet. There is such a diverse talent out there and these are realy people too! 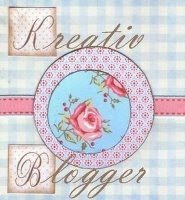 Blog-hopping gives me such good ideas and inspires me to create. I have grown so much from so many inspiration and creativity on this MB. I don't need or want all the scrappy goodness out there...just lots of my favorites! Thank you again Dee and Congrats to my recipients! Titles and LO's and cards oh my!